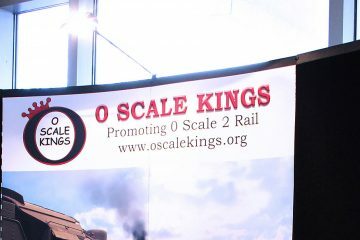 We are here to promote O scale, 2-rail model railroading and provide a list of resources for the O Scale modeler. Briefly, O Scale is the modeling of trains, structures, and people at the scale of one-quarter inch equals one foot (1/4″= 1′). This scale can also be expressed using a ratio of 1:48. 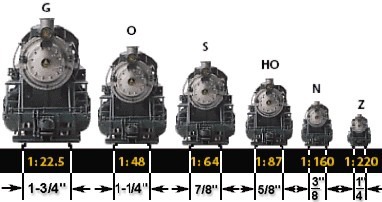 O Scale is twice as big as HO and four times as big as N.
S Scale falls about half way in size between O and HO. We realize that there are many niches within the 2-rail community. It is not our intent to promote one niche over the other but rather to help you find the one where you receive the most enjoyment and satisfaction. We are here to answer questions, discuss modeling issues and techniques and to organize the 2-rail community to help you find those resources and materials needed to reach your objectives.